Share the post "Lowline Cattle"
Since there were a large number of open houses today, I had more lookers than normal at my public open house at 912 – 11th St. NE. It really is about as clean and maintenance free as you can get in a home under $90,000.00 in today’s market, and not to mention its close proximity to our public swimming pool and Harding Elementary School. The taller than normal ceilings in the basement make for a more pleasant and useable recreation room. I believe more sooner than later this home will be sold and hopefully to a buyer who’ll continue to take very good care of it. Some people stopped by today and visited about selling their home and perhaps Holtz Realty will have another one listed soon. Someone asked me yesterday how business has been for my office so far this year and all I could say was, “I’m exceptionally pleased with the amount of business our office has received in these last six months.” It’s almost as though some invisible chain has been broken over doors that have been thrown open to create more and better business for Hotz Realty. For whatever reason, I’m thankful for it. 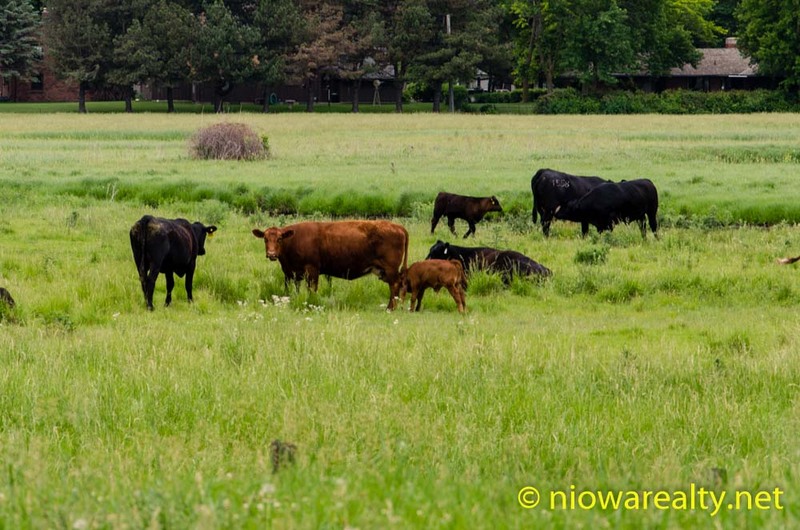 It was quite the coincidence when reading the Globe Gazette’s article this morning about the lowline cattle that are being propagated in Osage just after I wrote my article last evening about Iowa promoting more earth friendly and healthier foods. Take a few minutes and go to the Globe’s site and read about the lowline cattle thriving in our area.